Founded in 2011 and IPO’d in 2017, Stitch Fix aims to marry the art of personal styling with the science of data analytics to deliver the most personalized and relevant styling suggestions for its 2.5mm+ active clients in a convenient fashion . A client who wishes to receive personalized styling must first answer a ten-minute online questionnaire, during which data is collected on the customer’s measurements, typical sizes in multiple apparel categories, body shape specifications, style and fit preferences, and pricing constraints. Upon the completion of the style profile, the client then selects a date to receive his or her first box of apparel and accessories (also known as a “fix”). Meanwhile, the company’s proprietary algorithm matches the client to a Stitch Fix stylist, who then leverages the AI recommendations and chooses five items. These items are shipped free of charge to the client, who then decide to purchase or return any items (also for free). Stitch Fix charges a $20 styling fee per shipment, to be used towards any item that the client keeps. Should the client wish to keep the entirety of the “fix”, he or she will receive a 25% discount on the shipment . 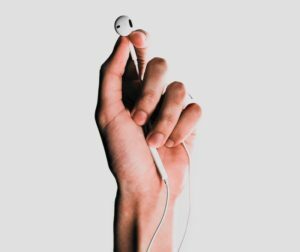 A client may request the service at any time, or on a bi-monthly or quarterly subscription basis . 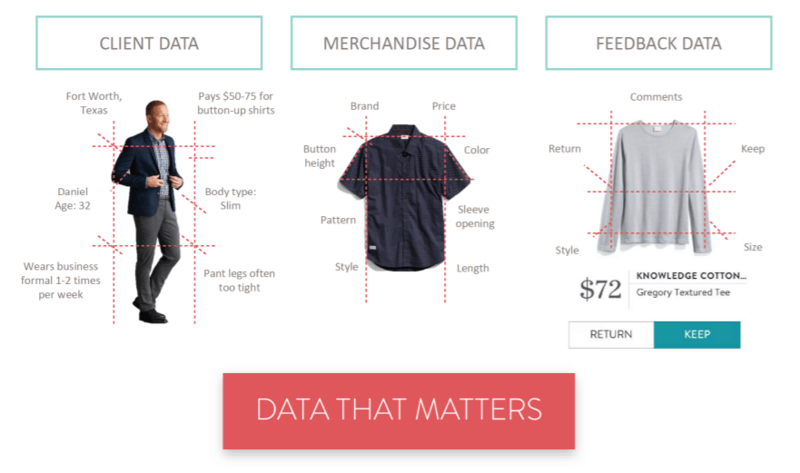 Stitch Fix solicits the following types of data: client-generated data from the initial style profile and any subsequent adjustments, merchandise-level data (e.g. pattern and color of a dress), and positive and negative feedback from clients about the items received. Clients appear to be highly-motivated to provide data, as 85% of historical shipments have captured direct feedback . As the company grows in the number of customers and the breadth and depth of inventory, the predictive power of its algorithm increases. Indeed, the company claims that there is a 63% probability of a specific client buying a specific item . The high level of personalization also helps to engender customer loyalty and reduce churn. In 2017, the company reported a repeat rate of 86% , the average number of items purchased per fix grew 22% year-over-year , and the average client spent $489 annually with the service . Stitch Fix also uses data to inform product development decisions for both its 700 brands, which includes both its private label offerings and brand partners . Data has also been utilized to drive category expansion decisions. Building upon its initial success with womenswear, Stitch Fix moved into the maternity and petite categories in 2015, menswear in 2016, and plus sizes in 2017 . The company currently employs 75+ data scientists and 3,500+ stylists . Given the human touch required for each “fix,” scale is of concern. 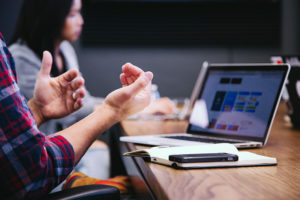 While most stylists are part-time and work remotely, one can envision a scenario where tremendous human capital costs are incurred in order to service the growing customer base. Conversely, should the Stitch Fix algorithm become so sophisticated that stylists are no longer needed, does this erode the company’s original value proposition? Will customers embrace being completely styled by an algorithm? If managed poorly, the combination of man and machine may turn into a liability for Stitch Fix. Moreover, while Stitch Fix has amassed considerable data, it faces a formidable challenger in Amazon, which launched its Prime Wardrobe offering in 2017 to seemingly compete directly with the service. Interesting post! I still wonder to what extent algorithms will be able to fully satisfy needs that can’t be fully quantified by data. Sure it’s perfect for fit, color or material preferences, and visible features. But, how could an algorithm capture that a particular suit makes someone feel confident enough to nail an interview, or that a new style helps them communicate to the world that they’re adventurous or a risk taker? It seems like you could get enough data to accurately reflect what styles might appeal to someone, but with fashion I think there are elements you can’t capture. So perhaps it will make the selling and designing process more efficient for brands, but I don’t think that the technology (today at least) will be able to distill the full personal experience of fashion. Interesting article! I think the Company definitely has an advantage over traditional e-commerce sites given the mass amount of data that they have on the customers. However, I wonder how effective they are at helping customers discover new outfits and fashion styles. 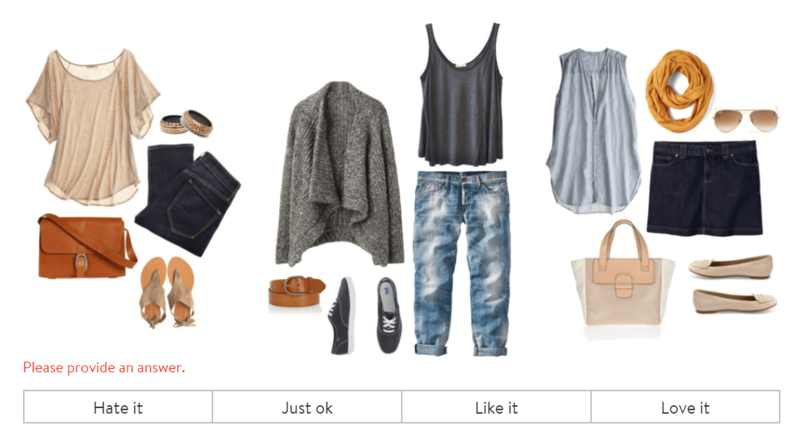 As a previous Stitch Fix customer, I liked the fact that they were able to pick out the outfits that fit me perfectly, but over time, I found that all of their recommendations seem to be of things in the similar style. This was probably driven mainly by their algorithm, as they learned what type of clothing I liked best. Unfortunately, this exact same value prop was also the reason why I stopped using them as I got bored of the repetitive styles. I wonder if there are things that Stitch Fix could do to encourage users to venture outside of their comfort zones without compromising their core value proposition.